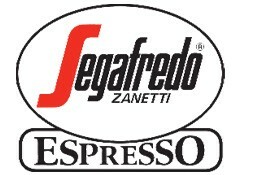 Segafredo Zanetti Espresso is currently closed for delivery and it will open at . Labneh, grilled halloumi, foul madammes, manakish, flat bread, olives, cucumber, tomato served with turkish coffee. Orange juice, mini croissant, jam, yoghurt with berries, granola and toasted bread with your choice of hot beverage. Three omega 3 eggs as you like (fried, scrambled or omelet) served with toasted bread, beef sausages, bacon, side salad, baked beans, hash brown and sautéed mushrooms with a small fresh orange juice and a hot beverage. Three omega 3 eggs, red bell pepper, onion, tomato sauce and our secret shakshuka spices. Poached omega 3 eggs served on brioche bread and topped with rich homemade hollandaise sauce. Flour tortilla stuffed and grilled with home made corn salsa, melted cheese and chef special sauce. Charcoal grilled chicken breast, sundried tomato, mixed leaves, raisins, pine nuts, with pesto mayo dressing. White quinoa, halloumi cheese, baby spinach, cherry tomato, cucumber, strawberries, walnuts, citronette dressing. Mix green, avocado, cherry tomatoes, olives, boiled egg whites, yoghurt sauce. Lobster freshly grilled with spaghetti pasta in red or creamy white sauce. Pizza sauce, mozzarella cheese, calamari, shrimps , mussels and clams sautéed with olive oil, garlic and parsley over pizza crust. Pizza with truffle sauce topped with US Angus beef tenderloin strips. Tomato sauce, Mozzarella Cheese, Grilled seasonal Vegetables, topped with rocket and parmesan. Buffalo Mozzarella Topped with Pine nuts and pesto Sauce. 125g wagyu beef burger with truffle sauce and melted cheddar cheese. 125g wagyu beef burger with jalapeno and our special dynamite sauce. Charcoal grilled US black angus fillet 250g served with mushroom sauce and selection of one dish. Juicy marinated chicken cubes chargrilled served with grilled vegetables, freshly baked flat bread and french fries on the side with garlic mayo sauce. Grilled jumbo prawns served with saffron rice and lemon garlic butter sauce. Fresh orange juice, mango puree, banana.